The festival of the birthday month continues in the Hungry House! Miss 8 is now Miss 9 and any Miss 10 is a newly minted Miss 11. Where has the time gone?! I cannot tell a lie – I did not make the vision of loveliness you see before you. 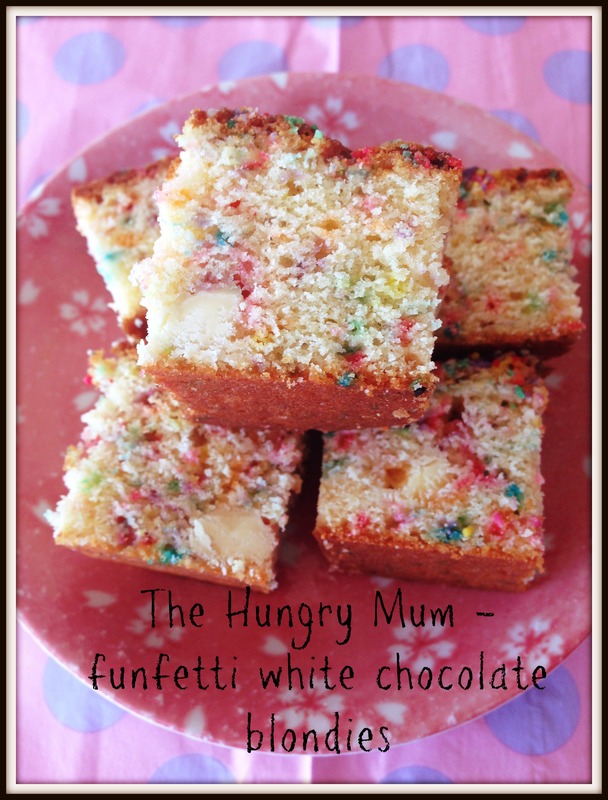 That was Miss9, who created these funfetti white chocolate blondies by herself from woah to go. Being Australian we call small, sweet baked morsels biscuits. From my extensive blog reading I see that Americans call these items cookies. Let’s chalk it up to cultural differences. In any case Misses 4 & 6 helped make umpteen of these sprinkle-covered biscuits for their little friends for Easter. It is the recipe I posted on my blog titled Child’s play: super simple sprinkle biscuits even a 4-year-old can make. All you ned to do is gently push a paddlepop stick into the biscuit prior to baking. Ta da! 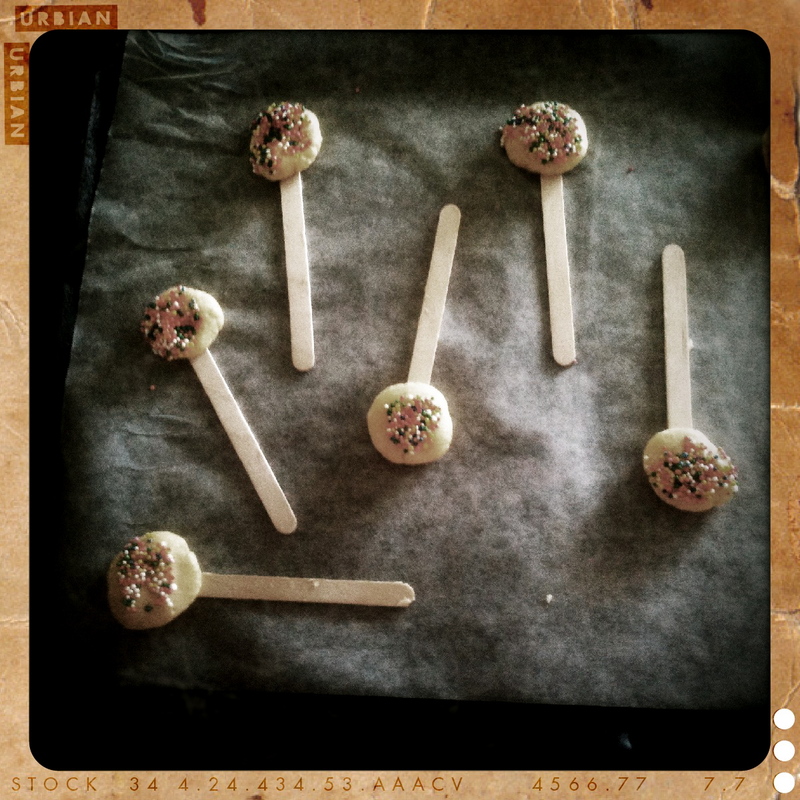 A bickie on a stick – and as everyone knows, sticks make food taste better.